As a full service contractor, we offer roofing, windows & siding. We offer reroof, rip off and replace. All shingles are Tamko or Timberline. 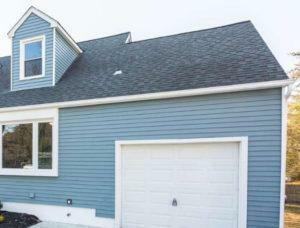 We have siding that caters to all customer’s styles and tastes. The selection process starts with our understanding of what you want the finished product to be. Our in house and showroom samples will certainly impress, as well as photos and recommendations from previous clients. We are more than open to customer suggestions and alternate brands at your request. But the quality does not stop there. Let us show you how to accent your siding with optional corner posts, shutters, pilasters and crowns to make an ordinary home into an elegant master piece.